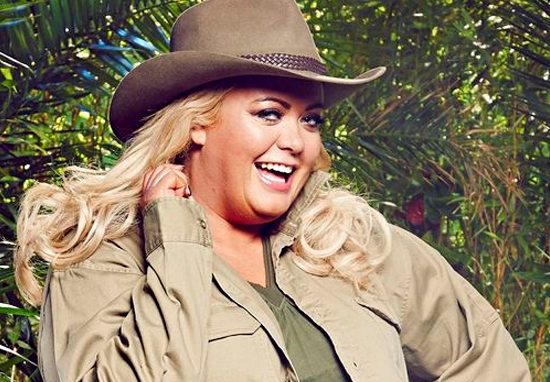 When most people think of Gemma Collins, they think of the now infamous stage fall or the hilarious memes. Yet recently, her social media followers have been watching the documentation of Collins’ incredible weight loss regime. She’s been posting selfies right off the treadmill, sharing images of her healthy meals and people have been loving the positivity. At least until Gemma’s most recent Instagram snap, in which she can be seen sporting a pink jumper with a bit of ribbon detailing from her very own fashion boutique, which has some fans less than happy. Some have accused the TOWIE star of photoshopping the image around her waist, and are not pleased with her for doing so. I love you gemma and you always look fab. You DO NOT NEED photoshop on your body or anywhere else. I can see someones done a poor job on this photo…on your waist on the left. Body positivity is about embracing what you have and loving yourself – I’d have a word with the creative team and keep being authentic you. All the more reason she doesn’t need photoshop :) if you zoom on her waist on the left you’ll see what I mean. Others among Gemma’s fanbase were quick to defend her and posted comments praising both her and her new jumper in an effort to help motivate her on her continued fitness regime. You look amazing Hun. Loving the short hair to [sic]. Back in November, it was reported Collins was found collapsed on the floor of a bathroom after suffering extreme stomach pains. At the time, it was feared she was suffering with kidney stones and there were concerns for her overall health. She was supposed to be on set of The Only Way Is Essex, but had to cancel filming as a result of the collapse. Only one week before the collapse, she was forced to pull out of a club appearance in Sheffield after being struck down with cystitis. 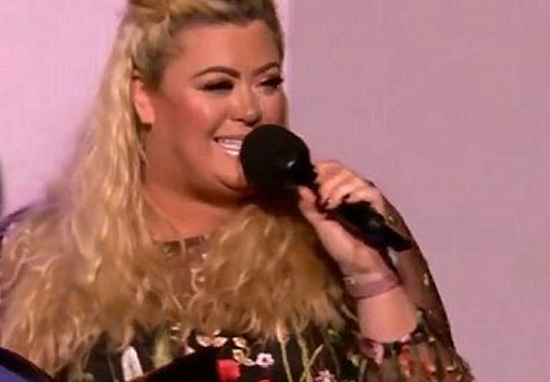 As well as these medical concerns, Gemma was put through the wars when she fell through the stage of the BBC Radio 1 Teen Awards 2017. It seems she’s turned a corner from this slightly embarrassing moment and the more worrisome health concerns, with her weight loss. Photoshop or not, she’s still done amazingly well to lose that much weight! Well done Gemma!